LaTisha Dear Jackson is an Associate with the oldest minority owned law firm in the State of Georgia, Thomas Kennedy Sampson & Tompkins, LLP. At Thomas Kennedy Sampson & Tompkins, LaTisha serves in the litigation department defending corporate clients in medical malpractice, wrongful death, premises liability, and insurance matters. She also represents clients in personal injury and wrongful death matters as well as matters handled in Probate Court. Prior to joining Thomas Kennedy Sampson and Tompkins, LLP, Judge Jackson served as a full time judge in the DeKalb County Recorders Court, where she primarily presides over traffic offenses, misdemeanors and county ordinances. Currently and for the past several years, Judge Jackson has served as a judge in local municipal courts. In 2008, Judge Jackson made history by becoming both the first female and youngest judge to ever serve as a Municipal Court Judge in the City of Stone Mountain, Georgia. In 2012, she again made history by becoming the first female Municipal Court Judge in the City of Lithonia, Georgia. Judge Jackson also sits as a judge in the City of East Point, Georgia. Prior to becoming a member of the judiciary, Judge Jackson was an attorney and counselor at law with her own law practice located in the historic City of Stone Mountain, where she specialized in all areas of juvenile law, criminal defense, and family law. Judge Jackson has served as an Assistant Solicitor General for DeKalb County’s Office of the Solicitor-General, where she served as a trial attorney representing the State of Georgia on various misdemeanor crimes and habeas corpus proceedings. 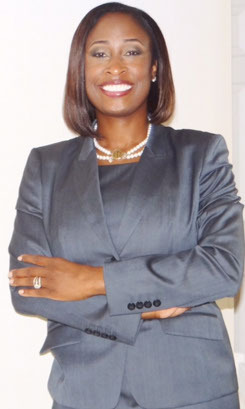 Judge Jackson earned her Juris Doctorate from Georgia State University College of Law, where she was the second vice-president for the Southern Region of the Black Law Students Association, a member of Student Government, the Phi Alpha Delta Law Fraternity and a Who’s Who of American Law Students. She obtained her undergraduate degree from the prestigious Spelman College, graduating with a Bachelor of Arts in Economics (Pre-law concentration) and a double minor in Management Organization and Writing. A native of Los Angeles, California, Judge Jackson is active in numerous professional organizations. She is a former appointed member of the DeKalb County Juvenile Court Judicial Selection Committee and a current member of both the Georgia Association of Black Women Attorneys and Georgia Association of Women Attorneys Judicial Applicant Review Committees. In 2014, Judge Jackson was appointed by the Chief Justice of the Georgia Supreme Court to serve on its Committee on Fairness, Access and Public Trust and Public Confidence Committee. She is also a member of several bar associations which include but are not limited to the DeKalb Bar Association, Lawyers Club, Gate City Bar and DeKalb Lawyers Association where she served an unprecedented two-year term as President. Presently, she is the vice-president for the Georgia Council of Municipal Court Judges which is a statewide council for all Municipal Court judges. In her community, Judge Jackson has served on the Board of Directors for the Georgia Center for Children and is a member of Leadership DeKalb Class of 2006, where she now serves as the Selection Committee Chair and Chairman of the Prospective Members Open House Receptions. Giving back to the greater legal community, she has served as a regional and state judge for the Georgia High School Mock Trial Competitions and as an attorney volunteer for the Election Protection Committee. As a loyal alumna to her alma mater, Judge Jackson has served as an active mentor to incoming freshman and facilitated one of the History and Traditions presentations during the Freshwoman Orientation Week. Passionate about her beloved sorority, Judge Jackson is an active member of Alpha Kappa Alpha Sorority, Inc. Tau Pi Omega chapter which services the Stone Mountain-Lithonia area. As an eighteen year member of the sorority, Judge Jackson has held various leadership positions and served on numerous committees. Judge Jackson has traveled throughout the state of Georgia presenting on various judicial and legal issues. She also speaks at various schools throughout the metro-Atlanta area including the Historic Coretta Scott King Young Women’s Leadership Academy. As a continued investment to the youth, Judge Jackson along with State Representative Rahn Mayo created a program in the DeKalb County Public School System entitled I. L.E.A.D. (Interactive Law and Education Development). I.L.E.A.D. was a program that focused on educating high school students on the law while strengthening their comprehension and writing skills. In 2011, Cedar Grove High School honored her as their community leader for her work with I.L.E.A.D. Judge Jackson not only works and serves DeKalb County; she also resides there calling it home. She is a member of Ray of Hope Christian Church, where she serves as the Co-Coordinator for the entire youth ministry. As a testament to her accomplishments, she has received several honors. From Cambridge Executive’s Who Who’s Honors Edition to being featured in local newspapers and magazines as well as her sorority’s international magazines and Pioneers Opening Doors exhibit at the 67th International Biennial Conference and in 2011, she was selected to be a Fellow in the prestigious Atlanta Chapter of the New Leaders Council. In all that she does and has accomplished thus far, Judge Jackson remains humbled, inspired and motivated to continue to seek justice because there are still so many lives left to be touched. Finally, but most importantly Judge Jackson is the proud wife of Gari B. Jackson.